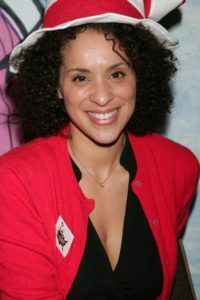 Karyn Parsons is an American actress who is best recognized for her portrayal of Hilary Banks in the NBC series, The Fresh Prince of Bel-Air. Engrossed in dancing as a young girl, she dreamt of one day becoming a professional dancer; however, her initial dreams eventually fell apart after she suffered a torn knee ligament while she was still in grade school. When she was thirteen, she watched a school production of Mrs. Warren’s Profession, in which many of her friends also took part in. Inspired by what she had seen, it didn’t take long for her to develop an interest and passion in acting. Following through with her newly found dream, she later performed on stage for the first time in a musical while still in high school. Despite the fact that she received countless scholarship offers upon graduating, she opted to skip college in order to focus on a career in the show business. With a dash of luck, she soon made her television debut in the drama series, The Bronx Zooーshe was only twenty one years old at the time. Having enjoyed her first taste of the show business, the aspiring actress continued to take part in a number auditions and eventually landed a couple of small roles in the action drama, Hunter (1988) and in the comedy series, CBS Summer Playhouse (1988) the following year. From there, Parsons later appeared on the big screen for the first time in the horror flick, Death Spa (1989)ーwhich also served as her film debut. After four years of playing various minor parts on television, the actress received a big break when she was cast as Hilary Banks, one of the lead characters, in the NBC sitcom, The Fresh Prince of Bel-Air. Immensely popular amongst viewers, the show effortlessly catapulted Parsons into celebrity status; to this date, it remains to be one of the best known roles of her entire careerーdespite the fact that the series ended two decades ago. While she was still on The Fresh Prince of Bel-Air, the actress also starred in a handful of films including Mixing Nia (1998), The Ladies Man (2000), and 13 Moons (2002). In 1996, shortly after the end of the sitcom, Parsons was also cast as a lead character in the Fox sitcom, Lush Life (1996)ーalthough it was later cancelled after four episodes due to low viewership ratings. Throughout her multi-decade long acting career, she has appeared in over twenty different films and television programmings. More recently in 2009, Parsons also dabbled in reality TV as a contestant on the game show, Catch 21. So what has the actress of The Fresh Prince of Bel-Air fame been up to since then? Is she still active within the entertainment industry? What has she been busying herself with as of late? 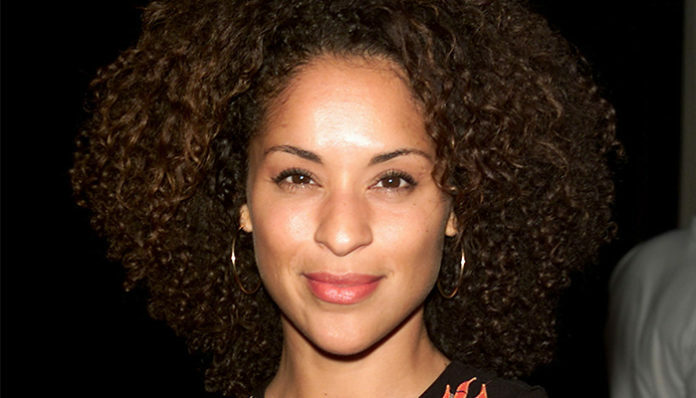 What happened to Karyn Parsons? Where is she now in 2018? Born on October 8, 1966, in Los Angeles, California, Karyn Parsons is the daughter of an African-American mother, Louise Parsons and a Welsh father, Kenneth B. Parsons. Growing up in the city of Hollywood as an only child, she fell in love with dancing as a young girl; with dreams of one day becoming a professional dancer, it wasn’t uncommon for her to spend hours practicing every day. Despite this however, she was later forced to retire early at the age of twelve after suffering from a torn knee ligament. When she was thirteen years old, she watched a performance of Mrs. Warren’s Profession at her school; it was then that she was inspired to pursue a career in acting. As a teen, Parsons went to Santa Monica High School, where she eventually performed on-stage for the first time in a musical production. After taking part in a number of plays, she eventually graduated in 1982. Although she’d been offered countless scholarship offers as an A’s student, she quickly turned them down, opting to instead chase her dreams of working in the entertainment industry. Relocating to Los Angeles, she soon began auditioning for various parts, in hopes that she’d be able to close the distance between herself and her dreams. With much hard work, she was eventually successful at landing a small role in the drama series, The Bronx Zoo (1987)ーshe was 21 years old at the time. Continuing to put herself out there, she later appeared in the action drama, Hunter (1988), and in the comedy, CBS Summer Playhouse (1988) the following year. Just three years after making her television debut, Parsons received the biggest break of her career when she was cast as one of the lead roles in the NBC sitcom, The Fresh Prince of Bel-Air (1990). Created by Andy and Susan Borowitz, The Fresh Prince of Bel Air originally premiered on September 10th, 1990 on NBC. Starring Will Smith, James Avery, Janet Huert-Whitten, Alfonso Ribeiro, and Tatyana M. Ali, the sitcom revolved around a teenager named Will Smithーa fictitious version of the popular rapperーafter he’s sent to live with his extremely well-off uncle and aunt at their large mansion as a consequence of getting into a brawl at a local park. Quickly proving to be a hit amongst audience members, the series attracted over 13 million viewers during its initial season; at the peak of its popularity, its ratings even went over the 14.6 million mark. While Will Smith was played by his real-life counterpart, Will Smith, Parsons portrayed the role of Hilary Banksーone of Will’s three cousins. Throughout its six-year run, The Fresh Prince of Bel Air garnered many awards including an ASCAP Film and Television Music Award for “Top TV Series” and a Young Artist Award for “Best New Family Television Comedy Series”, amongst many others. By the time the sitcom had ended in May 1996, it had well over 140 episodes. In the spring of 1995, Parsons starred in a film for the first time in the military comedy, Major Payne. Based loosely on the 1955 film, The Private War of Major Benson, it centred around Major Benson Winifred, a former Marine who finds himself clueless at what being a regular civilian entails. Released in theatres that March, it debuted at number two at the box office and reaped in over $7 million during its opening weekend. Although the film was panned by some critics for being “too predictable”, others did commend it for its dark comedy. Despite the mixed reviews that it received upon its release, Major Payne went on to gross over $30 million worldwide. While actor Damon Wayans played the part of Benson, Parsons portrayed the role of Emily Walburn, a school counsellor; the film also featured Michael Ironside, Steve Martini and Orlando Brown. The next year, Parsons returned to the small screen in the Fox sitcom, Lush Life (1996). Created in part by the actress herself, it centred around the lives of two roommates, Gorgette Sanders (played by Lori Petti) and Margot Hines (played by Parsons), who live together in a shared studio apartment. Debuted on television on September 9th, 1996, it also featured actors Michael Ealy, John Oritz, Fab Filippo, Concetta Tomei and Sullivan Walker. Due to disappointingly low ratings however, Lush Life was eventually cancelled by the network after only four episodesーeven though a total of seven episodes had been produced; it was the first new TV show of its year to be cancelled. In 1998, Parsons received another big break when she was cast as the title character in the dramedy, Mixing Nia. Directed and written by Alison Swan, it follows the life of Niaーa biracial young woman who works as a copywriter at an ad agency; she eventually quits her job after being tasked with something that goes against her beliefsーshe then goes on a quest to find her racial identity. Premiered at the New York Women’s Film Festival that year, it starred Parsons as Nia and actor Isaiah Washington as her eventual love interest, Lewis; the movie also starred Eric Thal and Diego Serrando in supporting roles. Upon its release, Mixing Nia received majorly mixed reviews; while some praised it for its screenplay and script, others criticized it for taking sensitive issues too lightly. Two years later, the actress returned to the big screen in the comedy film, The Ladies Man (2000) alongside actor, Tim Meadows. Co-written by the former Saturday Night Live cast member, it focused on Leon Phelphsーa character created by Meadows during his time on the late-night sketch comedyーand his various exploits. Opened in theatres on October 13th, 2000, The Ladies Man starred Parsons as Julie Simmons and also featured Billy Dee Williams, Tiffani Thiessen, Lee Evans and Will Ferrell. Upon being released, it ranked at number four at the box office and grossed over $5 million over its opening weekend. Despite this however, the comedy was heavily panned by critics, mainly for its lack of material and storyline; it ultimately ended up being a commercial flop, having only grossed $13.7 million from a $24 million budget. Returning back to television, Parsons joined the ensemble cast of the single-camera comedy, The Job in 2001. Created by Denis Leary and Peter Tolan, it told the story of Mike McNeil-a New York Police officer who induces in cigarettes, adultery, prescription drug abuse and alcohol. Filmed almost entirely on location in New York City, it premiered on the ABC Network on March 24th, 2001. Met with generally favourable reviews, The Job received many recognitions including five OFTA Television Award nominations, and three TCA Award nominations. In the series, the actress portrayed the role of Toni, a character who made her debut in the pilot episode; other members of the cast include Denis Leary, Lenny Clarke, Diane Farr, Bill Nunn, Adam Ferrara and John Oritz. From there, Parons’ career in the show business began to slow down. In 2002, she lent her voice to a character in the animated series, Static Shock and also appeared as a minor character in the comedy drama film, 13 Moons, which starred Jennifer Beals, Elizabeth Bracco, Steve Buscermi and Peter Dinklage. From the looks of it, it almost seems as if Parsons has left the show businessーher last major appearance being back in 2002 and all. From what we’ve gathered from her IMDb profile however, the actress will be starring in an upcoming drama short called, On Monday of Last Weekend (2017). Featuring a screenplay by Akosua Adoma Owusu, it will follow the life of a Nigerian woman named Kamara who embarks on a journey to self-realization. While actress Chinasa Ogbuagu will be portraying the role of Kamara, Parsons will be playing the character of Tracy; the two will also be joined by Peter Rini, Jill Shackner and Farouk James Prempeh. But other than that, it would appear that Parsons has been spending most of her time with The Sweet Blackberry Foundationーa nonprofit which she founded back in 2013ーthat is devoted to teaching children about Black history heroes through a series of animated films and shorts. Previous articleMac Miller Net Worth 2018 – How Rich is He Now?